Rowland Ọlá Abíọ́dún (b. 1941 in Owo, Ondo State, Nigeria) is a Nigerian-American professor and author best known for his contributions to the field of African Art Studies, specifically Yoruba Art. He is currently the John C. Newton Professor of Art, the History of Art, and Black Studies at Amherst College, Amherst, Massachusetts. Abíọ́dún attended high school at Government College Ibadan, Oyo State, Nigeria (1955-1960), and received his B.A. in Fine Arts with First Class Honors at Ahmadu Bello University, Zaria, Nigeria, in 1965. Abíọ́dún went on to the Master’s program in Art History at the University of Toronto, Toronto, Ontario, Canada. He wrote a thesis on “The Origin of Ife Naturalism” in 1969. The Yorùbá was one of the most important civilizations of sub-Saharan Africa. 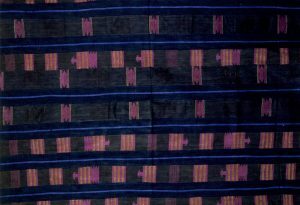 While the high quality and range of its artistic and material productions have long been recognized, the art of the Yorùbá has been judged primarily according to the standards and principles of Western aesthetics. In this book, which merges the methods of art history, archaeology, and anthropology, Rowland Abiodun offers new insights into Yorùbá art and material culture by examining them within the context of the civilization’s cultural norms and values and, above all, the Yorùbá language. He begins by establishing the importance of the concepts of oríkì, the verbal and visual performances that animate ritual and domestic objects, such as cloth, sculpture, and dance; and àṣẹ, the energy that structures existence and that transforms and controls the physical world. Both concepts served as the guiding principles of Yorùbá artistic production. Through analyses of representative objects, Abiodun demonstrates how material culture expresses the key philosophical notions at the heart of the Yorùbá worldview. Abiodun draws on his fluency and prodigious knowledge of Yorùbá culture and language to dramatically enrich our understanding of Yorùbá civilization and its arts. The book includes a companion website with audio clips of the Yorùbá language, helping the reader better grasp the integral connection between art and language in Yorùbá culture. 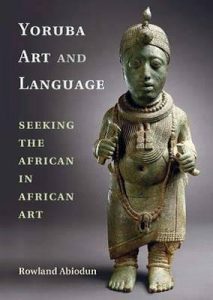 Ultimately, the principal value of Abiodun’s important book is his confirmation that Yoruba art and language do not merely intersect. Many other Yoruba and Yorubaist art historians have quoted illustrative odu Ifa, oriki, or other aspects of oral literature in their discussion of objects in enriching ways. Rather, what Abiodun demonstrates is that art and language walk such parallel paths that they reinforce one another like a doubled underscore. ~ Kathy Curnow, YORUBA STUDIES REVIEW, 2018. Decades after the creation of the field of African studies, post-pioneer Africanist art historians and Western-trained African scholars are still taking for granted the centrality of Western languages, Western art historical principles, Western art periodization, Western artistic concepts, and Western-derived theories in studying African art. 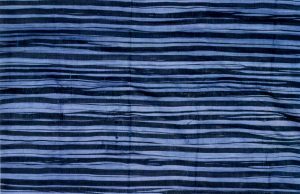 The process assimilates African art into the Western artistic scheme as if Yoruba creative expression accords wholly with Western aesthetics, but places it at a lower creative level. Abiodun’s groundbreaking book challenges the validity of this assimilationist philosophy and methodology. He focuses attention particularly on the superficiality of interpretations, the non-apprehension of the Yoruba conception of art, and the shortcomings of Western languages and conceptual frameworks in understanding African artifacts. ~ Nkiru Nzegwu, JOURNAL OF ARTHISTORIOGRAPHY, 2018. Click here for the Full Text of this Review. “With a robust research career that spans over four decades, Rowland Abiodun has consistently advocated for the inclusion of the language of the people when their art is being studied. He lucidly articulates that idea, using the Yoruba esthetic thought and language embedded in the oriki (praise or citation poetry) as valid exemplars.” ~Ndubuisi C. Ezeluomba, AFRICAN STUDIES QUARTERLY, 2016. “For scholars of African art, Abiodun brings new levels of understanding, nuance, and insights for consideration to already familiar works and forms. 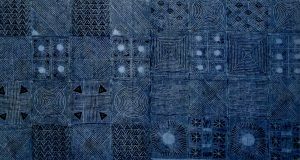 Applicable to all art historians, Yoruba Art and Language emphasizes the need to beware of the cultural, and specifically the linguistic, contexts in which art is made.” ~Lynne Ellsworth Larson,caa. reviews, 2016. “Abiodun’s Yoruba Arts and Language challenges art history to invest in methodologies that champion intercultural perspectives. In a small field such as African art studies, it is easy to mistake the criticism this challenge implies as personal attacks on individual scholars. Such a reading makes it difficult to engage previous research, which often reduces research on specific African art and cultures to the work of a single interlocutor. A field where extant research cannot be subjected to criticism is moribund and unprofessional, since challenges to existing orthodoxy are the only way to advance knowledge. Abiodun calls for radical interrogations of research protocols and methodologies in order to make the study of indigenous African art newly relevant to a younger generation of art historians. Such significant revision is necessary if the study of indigenous African art is to survive without as Abiodun contends, effacing the “African” from African art.”~Sylvester O. Ogbechie, AFRICAN ARTS, 2016. Rowland Abiodun is one of the most distinguished historians of African art in the world and his latest work is a crowning achievement… In Yoruba Art and Language Abiodun demonstrates that the meanings of Yoruba visual arts – so prized by collectors and museums – can and should be illuminated by the recognition of complementary verbal arts…The verbal “de-riddles” the visual…Nowhere is this “de-riddling” more effective than when Abiodun reviews some of Yorubaland’s most famous artistic creations, the copper and terra cotta portrait busts excavated at Ifẹ̀ and determined to date from the twelfth to the fifteenth centuries CE…Each chapter of Yoruba Art and Language is concerned with a different religio-aesthetic concept in Yoruba thought and how it is expressed in intertwined verbal and visual media…The total effect is a master work from a master scholar and the most thorough illumination of Yoruba religious art to be found. ~ Joseph M.Murphy, MATERIAL RELIGION, 2016. By showing how the Yoruba used their metaphysics to elucidate works of human creation, Abiodun disproves the view that pre-literate African cultures did not reflect on the aesthetic qualities of their artifacts. ~ Albert Moseley, JOURNAL ON AFRICAN PHILOSOPHY,2016. In sum, Yoruba Art and Language: Seeking the African in African Art is a book written with wit, argued with verve, supremely confident in its thesis, and exhaustively documented. Most important, this is a breathtakingly original book that is destined to alter our understanding of Yoruba art and aesthetics forever. ~Olufemi Taiwo, NKA: JOURNAL OF CONTEMPORARY AFRICAN ART, 2017. In his hometown, there were many traditional storytellers, and Abíọ́dún was immersed in the Yoruba myths of creation and transformation, legends of Ife accompanied by religious tradition made up Abíọ́dún’s early cultural education. 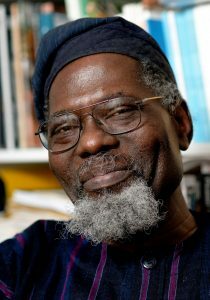 His early exposure to traditional education in Yoruba art and culture fostered the direction of his lifelong research. Immersion in Yoruba language, artistic concepts, and belief systems enabled Abíọ́dún to engage the philosophical notions at the heart of the Yoruba worldview. His thorough dedication to the study of African art is encapsulated in his written works, which convey his research in a format accessible to both insiders and outsiders to the field. Through all of these works Abíọ́dún aims to directly engage his art subjects without inadvertently silencing or leaving out altogether, the voices of their creators and users. ‘What Follows Six is More Than Seven’: Understanding African Art, London: British Museum Press, 1995. Conversations on Yoruba Culture, “A Young Man Can Have the Embroidered Gown of an Elder, but He Can’t Have the Rags of an Elder,” With Ulli Beier, Bayreuth: Iwalewa Haus, University of Bayreuth, Germany, 1991. Creating Her Own Universe: Georgina Beier’s Drawings, Altes Schloss, Bayreuth: Iwalewa Haus, University of Bayreuth, Germany, 1991. “Hidden Power: Osun, the Seventeenth Odu,” in Osun across the Waters, eds. J. M. Murphy and M. Sanford, Bloomington: Indiana University Press, pp. 10-33, 2001. “Riding the Horse of Praise: The Mounted Motif Figure in Ifa Divination Sculpture,” in Insight and Artistry in African Divination, Washington, DC & London, John Pemberton III, editor, pp. 182-92, 2000. 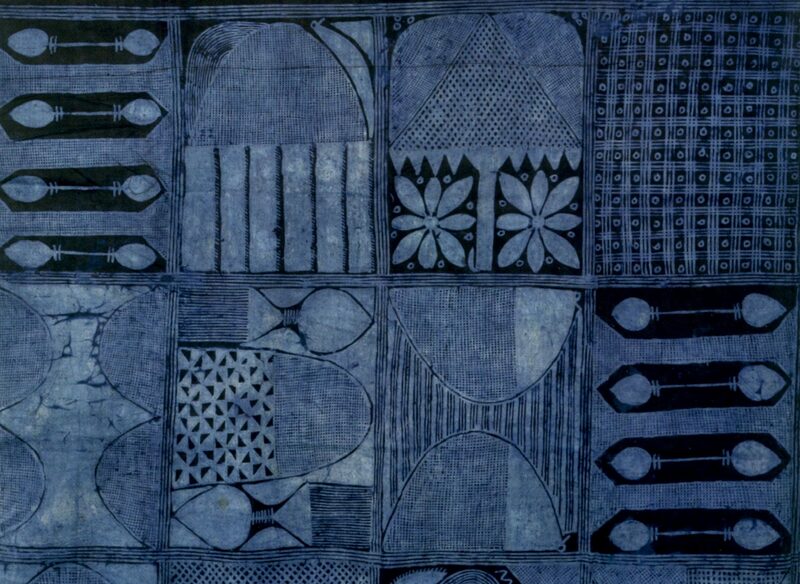 “The Dichotomy of Theory and Practice in Blocker’s The Aesthetics of Primitive Art,” in The Journal of Aesthetic Education, 29, 3 Fall 1995, pp. 38-44,1995. “Owo et le mythe de la Les Arts du Nigeria. Paris: Réunion des Musées Nationaux, 1991. “La signification et les artefacts d’Ifa dans la culture Yoruba” in Les Arts du Nigeria. Paris: Réunion des Musées Nationaux, 1991. (With H.J. Drewal and J. Pemberton) “Yoruba: Nine Centuries of African Art and Thought,” (Exhibition Preview), African Arts, XXIII, 1, pp. 68-77, 1989. “Woman in Yoruba Religious Images,” African Languages and Cultures, 2, 1, pp. 1-18, 1989. “Verbal and Visual Metaphors: Mythical Allusions in Yoruba Ritualistic Art of Ori,” Word &Image: A Journal of Verbal/Visual Enquiry, Vol. 3, No. 3, July-Sept., pp. 252-70, 1987. “Der Begriff des Iwa in der Yoruba-Aesthetik,” Tendenzen, 1984, NR 146, pp. 62-68, 1984. “Identity and the Artistic Process in Yoruba Aesthetic Concept of Iwa“, Journal of Cultures andIdeas, Vol. 1, No. 1, pp. 13-30, 1983. “Concept of Woman in Traditional Yoruba Art and Religion,” Nigerian Women and Development, University of Ibadan Press, A. Ogunseye, et al., eds., pp. 950-68, 1982. “Ori Divinity: Its Worship, Symbolism and Artistic Manifestation,” in Proceedings of the World Conference on Orisa Tradition, Ife: Department of African Languages and Literatures, University of Ife, Ile-Ife, Nigeria, pp. 484-515, 1981. “A Reconsideration of the Function of Ako, Second Burial Effigy in Owo,” Africa, Journal of the International African Institute, Vol. 46, No. 1, pp. 4-20, 1976. “Ifa Art Objects: An Interpretation Based on Oral Traditions,” Yoruba Oral Tradition, ed. Wande Abimbola. Ife: Department of African Languages and Literatures, University of Ife, Ile-Ife, Nigeria, pp. 421-69, 1975. 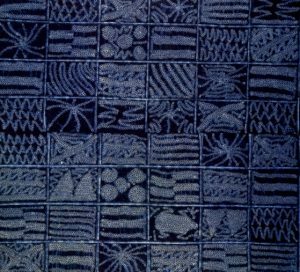 “Naturalism in Primitive Art: A Survey of Attitudes,” Odu, Journal of West African Studies, No. 10, pp. 129-36, 1975. British Museum, London, United Kingdom.. Given his prominence in the field of African Art, Abíọ́dún has been interviewed for various documentaries and television programs. 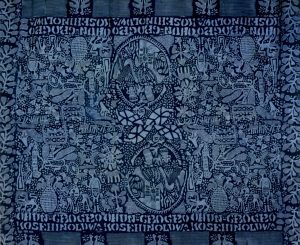 Prominently, he worked as a Smithsonian World Film Consultant and Participant in relation to Kindred Spirits: Contemporary Nigerian Art (1990). He was also interviewed by the BBC for the World Service program, first for the “Art of Africa” series on the theme, “For Our Mothers and Gods across the World”, in 1998 and later for “The History of Africa” series focusing on the arts. In 2000, PBS interviewed Abíọ́dún for “Religion and Ethics” with particular reference to the “Art and Oracle” exhibition at the Metropolitan Museum of Art, New York (2000).